Biotechnology Calendar, Inc. is excited to announce that this year’s Thomas Jefferson BioResearch Product Faire™ Event will be hosted on campus for the first time since 2005. Our on-campus sponsor will be the Thomas Jefferson University College of Graduate Studies, and our event will be held in the Bluemle Life Science Building. On-campus events typically draw much larger crowds due to the convenience factor for researchers. It will be much easier to meet researchers and market lab products at this year’s sponsored event. Hosting the event on campus will make a big difference because researchers would rather not leave campus to attend an event. There is also a quality of being at home that researchers experience at on-campus tradeshows. Researchers feel more comfortable staying close to where they work and talking to exhibitors knowing that the event has been organized through their university with a contact at the university. Having an on-campus sponsor will make a big difference for exhibitors this year as well. Even when we don’t have an on-campus sponsor, we do our best to abide by all the rules and regulations at a given university and make sure we’re working with our contacts at the university. When we have a sponsor, however, we are working entirely within the university system. Exhibitors can be sure they will make a positive impression at Thomas Jefferson University by participating in an event with an on-campus sponsor. Having more researchers attend our sponsored event will mean more leads for exhibitors. Given security measures at most universities, getting a foot in the door on campus can be difficult. However, this event gives lab suppliers a foot in the door at Thomas Jefferson University. Most of the time, researchers don’t want to be bothered in their labs or classrooms. Canvassing a campus on his or her own can mean risking breaking university rules if a lab supplier doesn’t have a legitimate reason to be on campus. At our next Thomas Jefferson BioResearch Product Faire™ Event, researchers will take time out of their day specifically to visit lab suppliers on campus and learn about the latest research equipment and lab supplies. By hosting our life science marketing events on campus, we can make it much easier for lab suppliers to meet more researchers and market their lab products more effectively. To attract the maximum amoutn of researchers to our show, we publicize the event in every campus research building. We send invitations to the researchers to attend and engage extensively in online marketing. We expect the 2014 Thomas Jefferson BioResearch Product Faire™ Event to attract record numbers of researchers. Lab suppliers working to increase sales of lab products and meet researchers in Philadelphia will find an active market worth getting to know at Thomas Jefferson University. According to recent NIH and NSF funding statistics, the NIH awarded Thomas Jefferson University $49.7 million in research funding in 2012. In addition to receiving NIH research funding, Thomas Jefferson University received $318,984 in NSF funding for life science projects in 2012. For more funding information, please read our articles $2.6M in Life Science Funding Awarded to Thomas Jefferson University and $50M in Research Funding at Thomas Jefferson University. 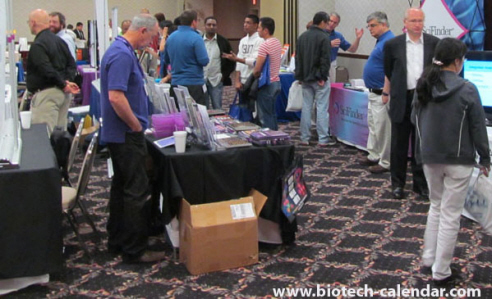 If you are a lab supplier interested in working to market lab products and meet researchers at Thomas Jefferson University, Biotechnology Calendar, Inc. invites you to attend our annual Thomas Jefferson BioResearch Product Faire™ Event on May 15th, 2014. 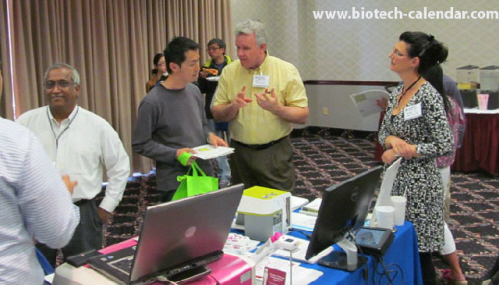 Last year, the Thomas Jefferson BioResearch Product Faire™ Event attracted 56 attendees, of which 21 were purchasing agents, professors and post docs, and 10 were lab managers. The attendees came from 6 different research buildings and 23 departments across campus. We are expecting a much higher volume of attendees at our next Thomas Jefferson University event due to the fact that our event will be on campus. The last time we hosted an event on campus, the event attracted 305 attendees. In total, 121 of the attendees were decision makers, meaning they were professors and post docs. Biotechnology Calendar, Inc. is a full-service science research marketing and events-planning company that organizes life science marketing events at top research institutions across the country. If you’re interested in working to market lab products and meet researchers at life science marketing events closer to home, we encourage you to view our 2013 calendar of events and 2014 calendar of events. For more information on our Thomas Jefferson BioResearch Product Faire™ Event, or to view more funding statistics for Thomas Jefferson University, click on the button below.